Givi Tanklock Tank Bags require bike specific flange components that mount to the bolts surrounding your gas tank lid. 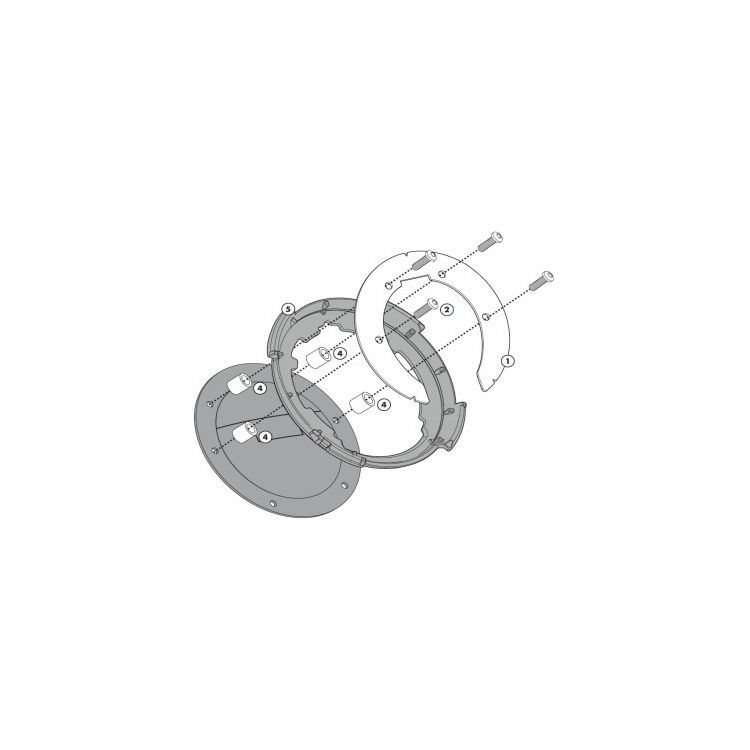 Each bag includes a flared ring to install with this Bike Specific Flange Kit. Note: Images for reference only, parts will vary per application.